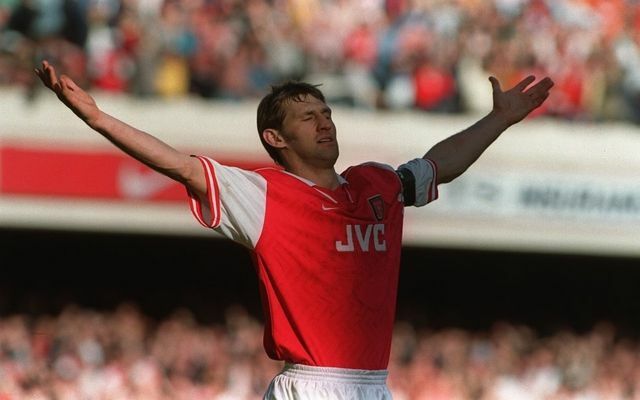 Arsenal legend Tony Adams hasn’t pulled his punches in his new book ‘Sober; Football. My Story. My Life’ as he slates the Gunners and Arsene Wenger. The 50-year-old never returned to Arsenal after his playing days, and he has revealed that’s down to Wenger who has rejected his approach to come back and take various jobs at different levels of the club. While he puts that down to the French tactician not wanting to be challenged by established Arsenal legends who could pose a threat to him, it hasn’t helped him get over the disappointment of being knocked back so many times by the club that he was a symbol for. However, he also moved to address quotes once attributed to him about Wenger’s coaching skills in an extensive extract in The Sun which covers various points from the book. “Back in the day I said in an interview coaching wasn’t Arsene’s strong point. “Actually in the original draft, I said he couldn’t coach his way out of a paper bag. And though I modified that in the final article, it didn’t go down well. “It all left me feeling that I would never get a chance in any capacity while Arsene was there. Patrick Vieira once suggested Arsene does not like big characters and personalities around, especially ones from Arsenal’s history. Perhaps Arsene thought I might be too challenging for him. As noted by The Sun, Adams also reveals in the book how he twice rejected Manchester United despite Sir Alex Ferguson’s advances because of his love for Arsenal. Bryan Robson was even told to speak to him while on England duty before United made their approach, but evidently it wasn’t successful. Meanwhile, the same publication quote Adams in the book stating that he was “embarrassed for the club” after what he describes as a “disrespectful” offer in his final year at the club. “I went to David Dein’s house in Hertfordshire to talk to him and Arsene about a new contract and was offered a basic sum and then a sum for each game played.